This universal, cutting-edge wireless microphone helps people with a hearing loss to understand more speech in noise and over distance. 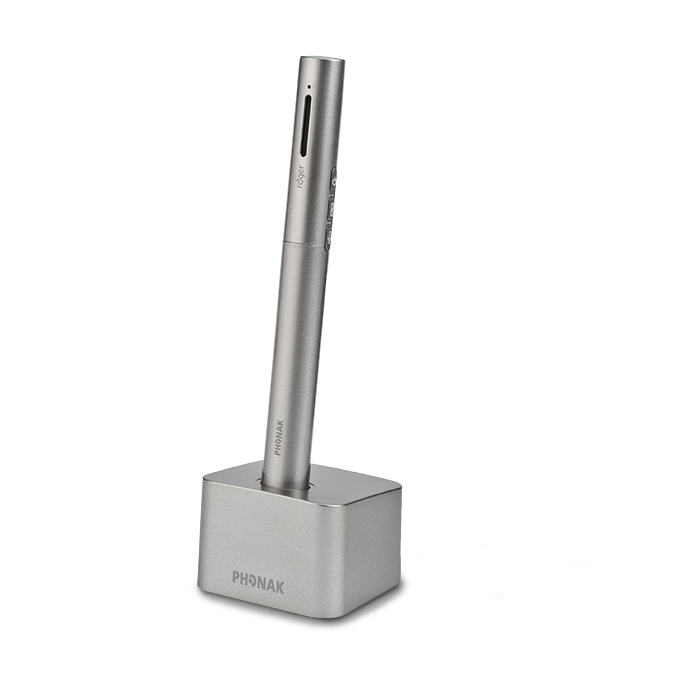 Designed with discretion in mind, the Roger Pen features adaptive wireless transmission, fully automated settings, wideband audio Bluetooth for mobile phone use, TV connectivity and an audio input for listening to multimedia. It can also be used alongside other Roger Clip-On Mics and Roger Pens in a microphone network. Roger is the new digital standard that bridges the understanding gap, in noise and over distance, by wirelessly transmitting the speaker’s voice directly to the listener.